After we had survived our bonding period in a rustic seaside village in Northwest Poland, my husband and I settled into our trim, red-and-blue checkered Warsaw apartment with our three new children. I was thrilled that there was a T.GI. Friday’s, Starbucks, and modern pharmacy within walking distance, and there were indoor playgrounds where the kids could burn energy and get distracted by new friends. Still, my youngest son continued to exhibit the troubling behavior we had seen during our first few weeks, and I was afraid to talk to close friends and family in the states about it lest they develop a negative impression of my new kids before they even met them. And there was always something about the outbursts that told me he was more frustrated than angry. I tried to put myself in the shoes of a 6-year-old who was being adopted by strangers who were flying him to an unfamiliar country, but it didn’t make things any easier. One day, tired and desperate, I reached out to my mom who had adopted from the same nation a couple of years earlier and told her what was going on. We had been introduced by my aunt, and she had invited me to join a Facebook group for parents who had also adopted from Poland. We started by swapping “war stories” about our rural Polish experiences. (“We didn’t have a refrigerator!” “My kids got chicken pox!”). It lifted me up to know that someone else had felt isolated and had also been eager to end a somewhat nerve-wracking experience that was supposed to bring us closer. I then explained some of what I was going through with my son. “We had that with one of our kids too,” she assured me. “It’s because of the language barrier, and it subsided after a few months because we can understand him now.” Relief did not begin to describe my emotion. For the first time in weeks, instead of fear, guilt, or confusion, I felt hope, and I replayed our conversation in my heart many more times before we flew home. Adoption support groups are helpful for a lot of reasons, but one of the main ones is to have other adoptive parents validate your unique experiences. Children who come from hard places will react more emotionally to certain situations, and it is important to have other parents who can empathize and help you problem-solve. 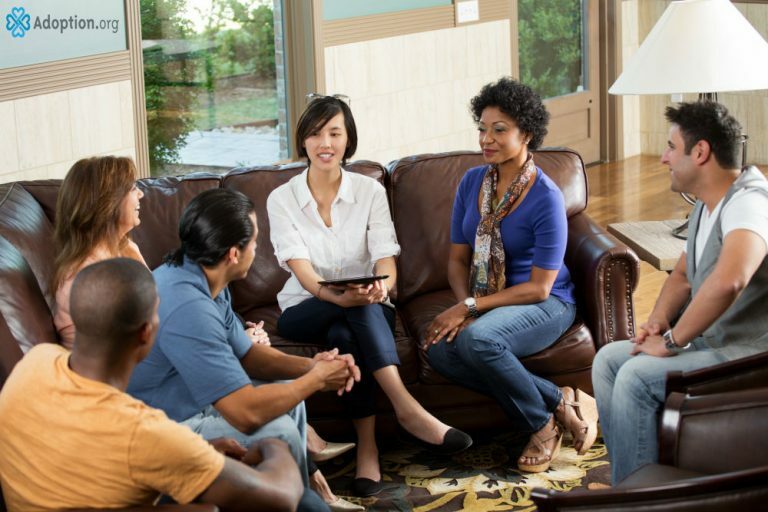 There are a lot of types of support groups for those touched by adoption. Birth mothers, single adoptive parents, adoptees in transracial families, or adoptive parents of older children are just some of the specialized divisions with unique needs for support. Those who have parented from birth, for example, may not understand an adoptive parent’s delight at her 9-year-old child learning to tie his shoes or that he is beginning to approach grade level at school. Others who have adopted older children understand the triumph of these milestones and can rejoice with you at the achievements. Those apart of adoption can often feel isolated, and having a cheerleading team of folks who understand what you are experiencing is crucial to your development and to your child’s progress. Shame, frustration, and loneliness are just a few of the emotions that can send adoptive parents, adoptees, and birth parents into secluded worlds of private pain. Having other people around you can help you brainstorm solutions, and they can offer encouraging stories about similar situations that resolved beautifully. Reach out for help, and you may find the happy ending you once dreamed about.